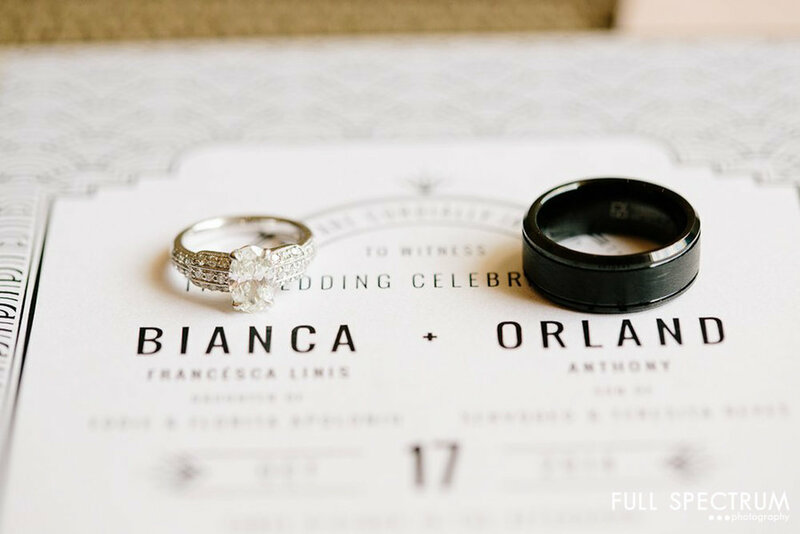 Bianca & Orland wanted an eclectic combination of neon colors and an opulent Great Gatsby theme. Feathers and pearls were featured in their decor and guests had the opportunity to write them love letters on a vintage typewriter. They had amazing personalized elements, like their surfboard guestbook, now displayed prominently at their home. Their hip-hop/Gatsby-style first dance was a fantastic highlight and gave way for a lively dance party spun by hip hop DJ Icy Ice. Cicely and Ryan's wedding was just as vibrant as their personalities. 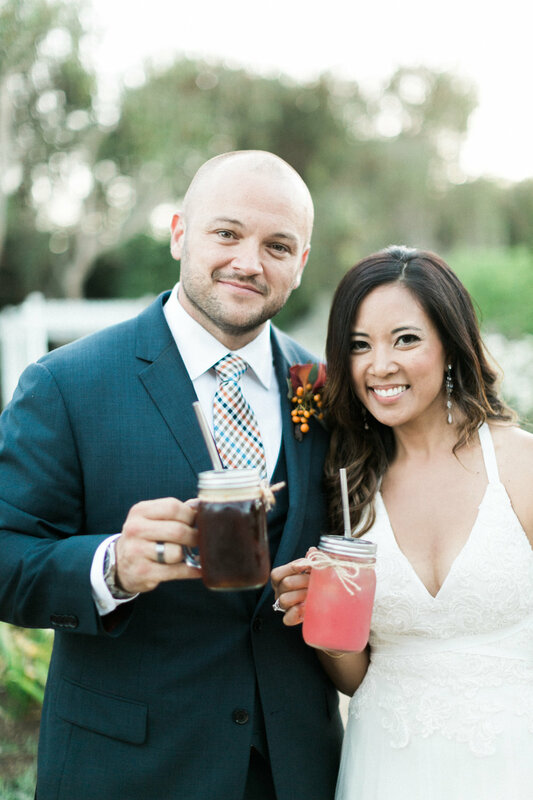 Their unconventional wedding featured citrus details within picnic basket centerpieces and a yummy barbecue feast by Beachwood BBQ and Brewing. They wanted a chic, but easy breezy atmosphere and the South Coast Botanic Garden was the perfect venue to achieve this. Their family and friends had a wonderful time dancing under the stars, and taking pictures in front of their Happier Camper trailer, which they took on their honeymoon at Yosemite! Hillary & Peter wanted a personal and lively celebration of their love and the city that they live in. Their day started with Korean wedding traditions, continued with an intimate ceremony at the historic Pasadena City Hall, followed by a tandem bike ride to honor Peter's love of bike riding. To everyone's surprise, the bride revealed an amazing pantsuit underneath her tulle skirt! Upon arriving at their street, they were greeted with their wedding guests who lined both sidewalks with streamers and confetti cones! It was a cheerful homecoming for the newlyweds, and the party kicked off with a karaoke reception in their backyard. Janice and Jeffrey's wedding was at the Majestic Halls in downtown LA, an historical building that was the national headquarters of Bank of America, built in 1924. The ornate architecture of the venue was especially prominent as the sweetheart table was right in front of the bank vault. The ballroom featured crystal chandeliers, high hand-painted Italian ceilings, arched windows, and sculpted marble columns. 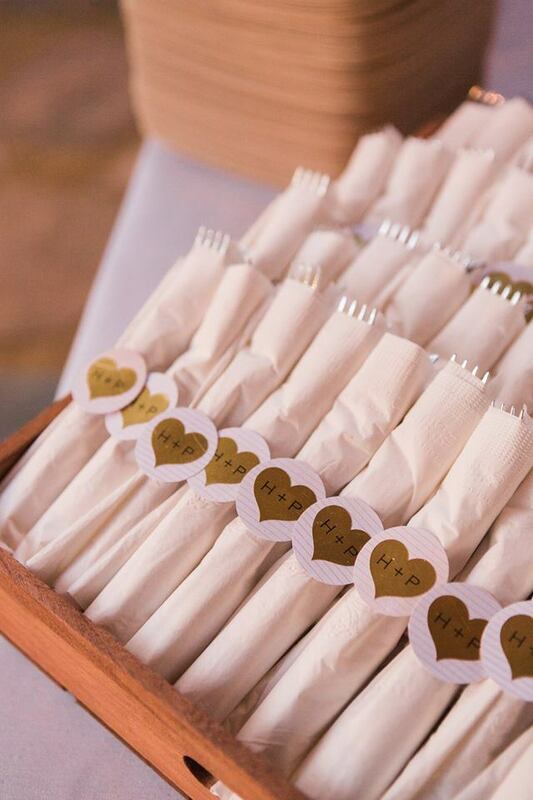 To add to the venue, the gorgeous bride enjoyed crafting and decorating whimsical details, like spray painting small animals gold for each guest's place cards. She also hand-calligraphed the guest seating details onto 2 giant floor mirrors. 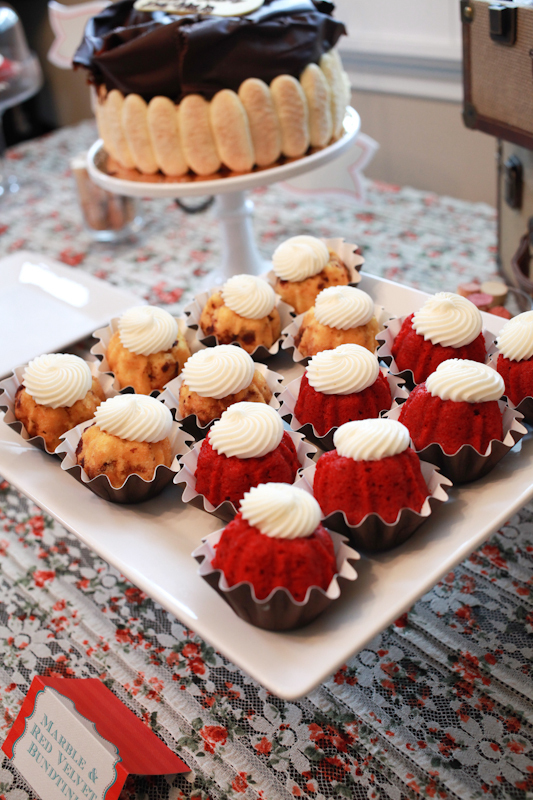 Their cake by Sweet and Saucy Bakeshop was especially whimsical, where they they affixed goldGirl Scout cookies to the simple white cake. Nicole and Nate's love for wine was on full display during their wedding at Lincourt Vineyard in Santa Ynez Valley. Nicole got ready at the cutest little cottage on property and she was able to stroll the beautiful vines starting from the night before the wedding, and simply walked over to the winery for the ceremony and reception. The ceremony and decor details were full of wine barrels and cork. Guests loved the open bar highlighting the winery's selection of wines and the personalized touches they shared, like the fruit loops story that culminated in their proposal. Lindsey and Rich's vision for their wedding was filled with gold and candlelight. Channeling the opulence and glamour of the Versailles Palace, the Alexandria Ballroom was the perfect backdrop for their reception. Candelabras and floral-filled ornate bowls adorned the guest tables, and their cake was fit for royalty with antiqued gold leaf hand painted details. Their wedding featured a silhouette artist, who hand cut each guest's profile to place within a guestbook keepsake for the couple. 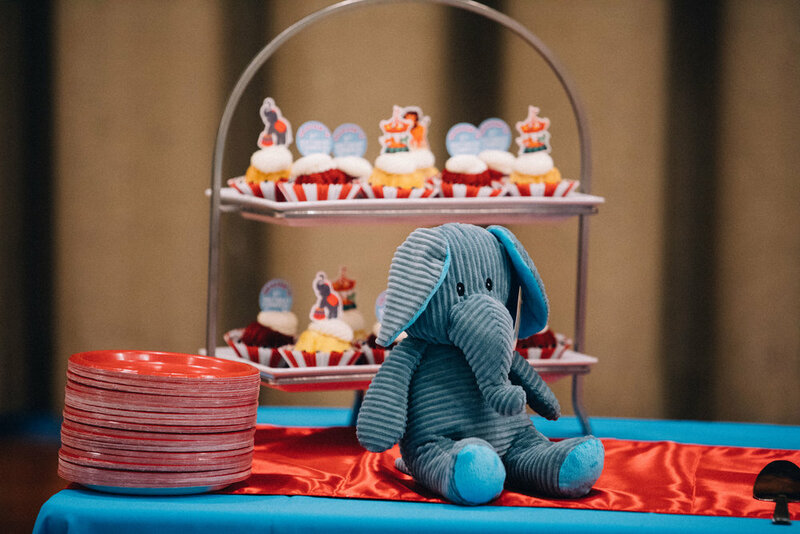 This unique baby shower was inspired by the trip that the soon-to-be-parents took and where the baby was conceived! This couples shower had an old-world lace backdrop for their photo corner, where guests posed with their gaucho mustache props. Wine and italian soda were prominent, as well as a delicious cheese and charcuterie table, and a made to order pasta bar. 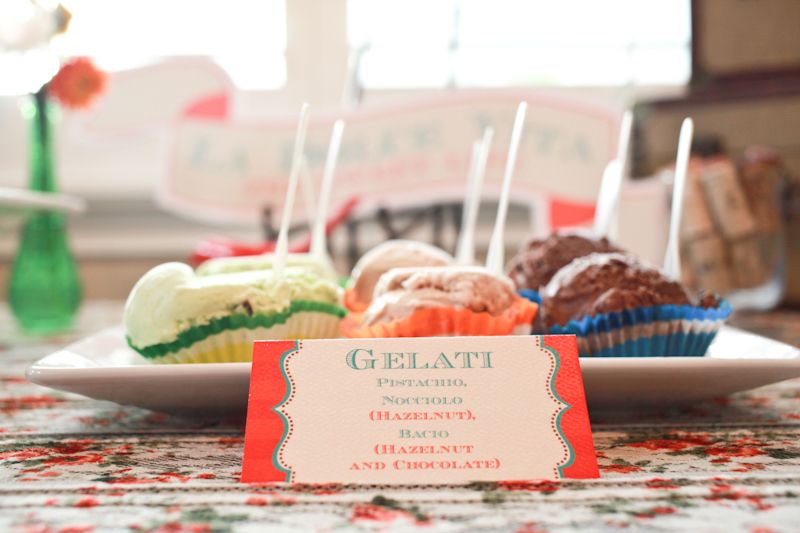 To the mom's request, the guests enjoyed authentic gelato for dessert. Isaiah's carnival-themed 1st birthday was filled with lots of game booths, balloons, and even a big top tent entryway installation. Guest were able to trade in their earned tickets at the redemption booth, just like a real carnival. One of the highlights for the kids was a prize punch game, where they punched through paper tissue covered cups filled with candy and prizes. Isaiah had a great time playing with his friends and family!